When the cost of repairing your car outweighs its value, it may be time to consider an alternative. Before you spend money on a down payment for another car, have the auto salvage professionals of JP Auto Recycler take the vehicle off your hands. Bring your vehicle in or let us tow it away for you and we'll pay you in cash. When you need a component or other car body parts in a hurry, come to our auto salvage business and we'll help you find the component you need. Get cash back for your old & non-operational vehicles. JP Auto Recycler has been passed down throughout the family for more than 40 years. He took over the business and he relocated it to business-friendly Hollister, California. His father continues to advise him and his business. We operate under license number 88705. We try to help our communities by providing low prices and good parts. JP Auto Recycler offers guarantees and warranties on the stock we bring into our auto salvage business. 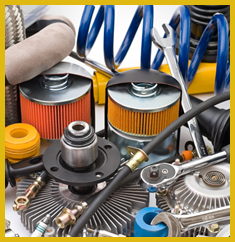 We take in new inventory on a daily basis for you to find great auto parts you can use to repair your car. Our company considers it important to give back to the community and surrounding areas as well. Mission Statement — Our mission is to supply the community with low priced auto and truck parts. Monday - Saturday, 8:30 a.m. - 5:00 p.m.